History and natural beauty intertwine at the Chesapeake Arboretum, a 48-acre natural classroom headquartered on an eighteenth century farmhouse. 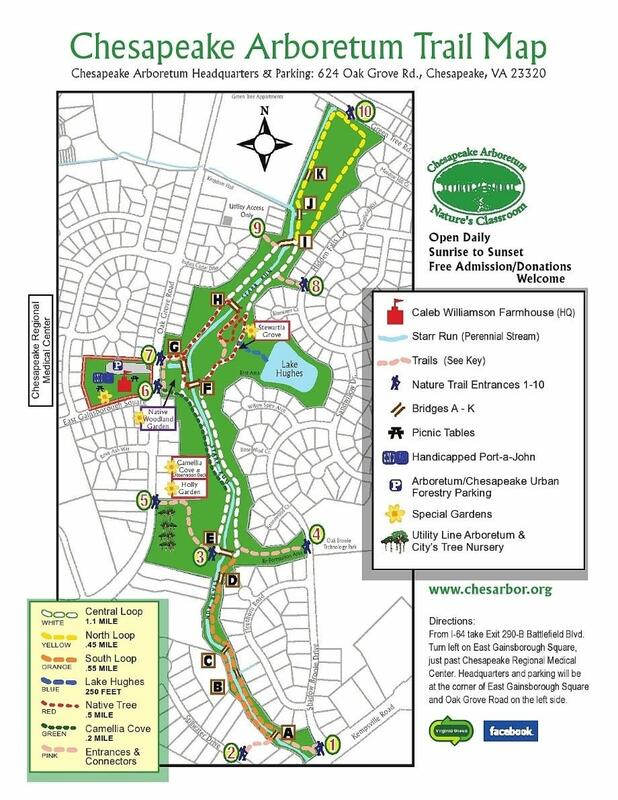 Boasting one of Virginia&apos;s finest trail systems, the Arboretum is the perfect place to take a self-guided tree walk with each species is labeled for easy identification (brochures are available at the information kiosk). During the fall, tress like the paw-paw and fig produce fruit that rains down from the trail&apos;s tree canopy. When spring rolls around, the Stewartia grove displays breathtaking colors from its beautiful flowers. The Arboretum&apos;s natural classroom is dedicated to promoting horticultural and environmental awareness. It serves as a training ground for local Urban Forestry groups and is a shining example of how a green infrastructure can enhance the quality of life by offsetting the ecological effects of land development. Before you visit, choose your path from the map below. Or make an afternoon of it and walk them all. The choice is yours-whichever path you take, you&apos;re sure to have a wonderful time exploring the great outdoors. 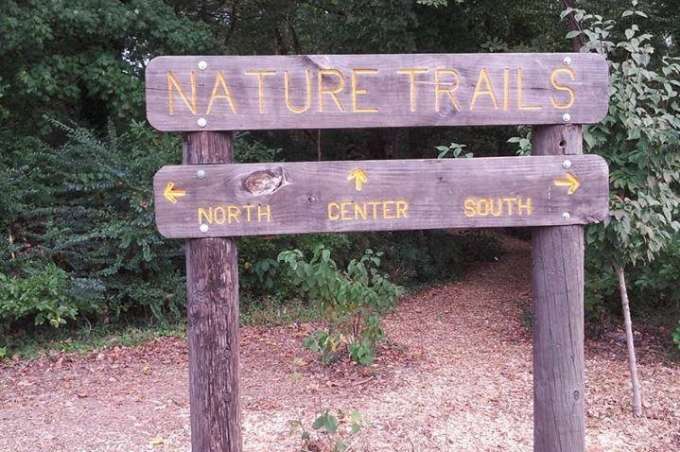 This part of the Virginia Birding and Wildlife Trail South Chesapeake Loop is not to be missed. Explore the history and natural beauty of the Chesapeake Arboretum and let the moments begin.